Take your taste buds on a tropical vacation with these delicious cookies made of white chocolate, macadamia nuts and coconut. The recipe is from the Magnolia Bakery cookbook. 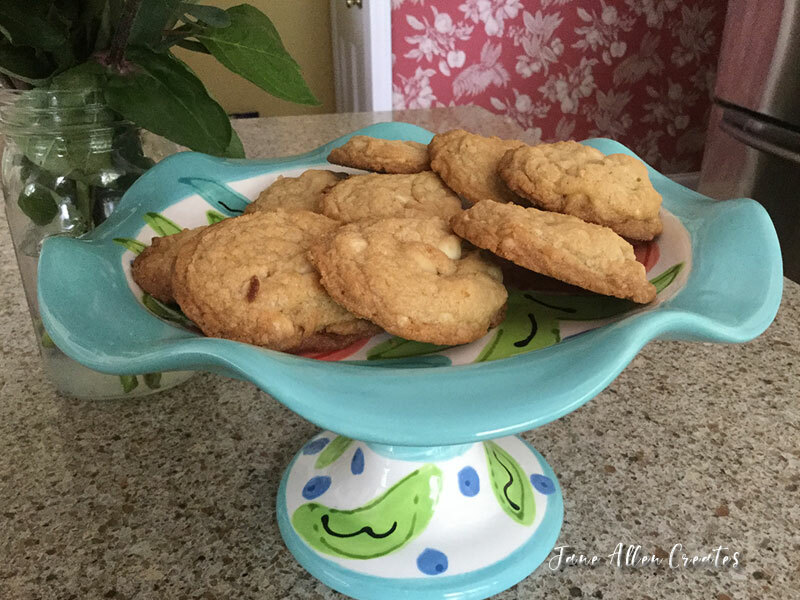 I tried all of the cookie recipes in the book and these are my favorite. I do like to lightly toast the nuts by placing them on a baking sheet in a 325 degree oven for 5 – 10 minutes. I check them after 5 minutes and stir with a spatula. Let them cool before adding to cookie batter. In a large bowl, combine the flour, the baking soda, and the salt. Set aside. In a large bowl, cream the butter and the sugars until smooth, about 3 minutes. Add the egg, the milk, and the vanilla extract and mix well. Add the dry ingredients and beat thoroughly. Stir in the white chocolate, the coconut, and the nuts. Drop by rounded teaspoons onto ungreased cookie sheets, leaving several inches between for expansion. Bake for 10 – 12 minutes or until lightly golden. I hope your family and friends enjoy these cookies as much as mine do.